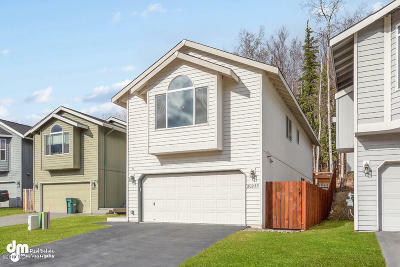 Beautiful 4 bedroom home with two living areas in Eagle Crossing! 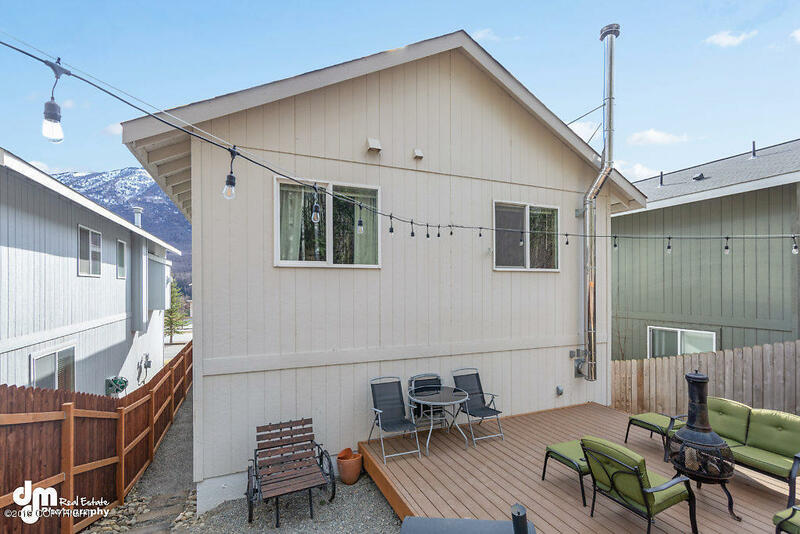 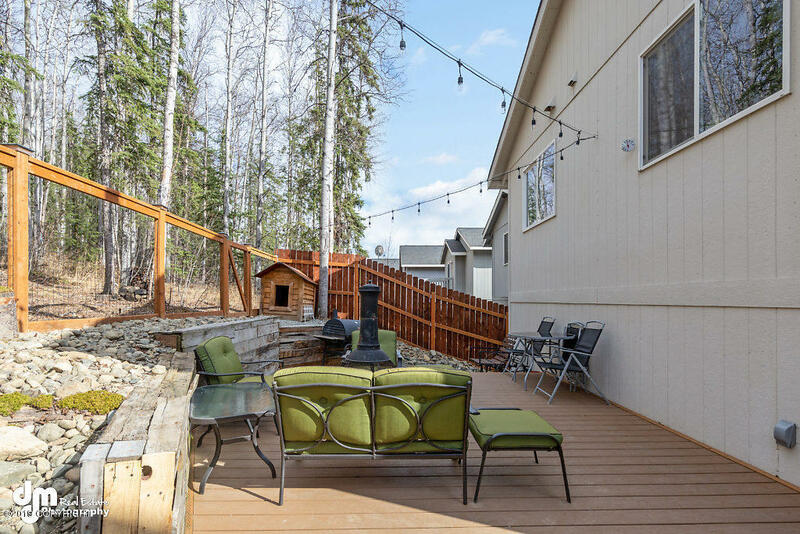 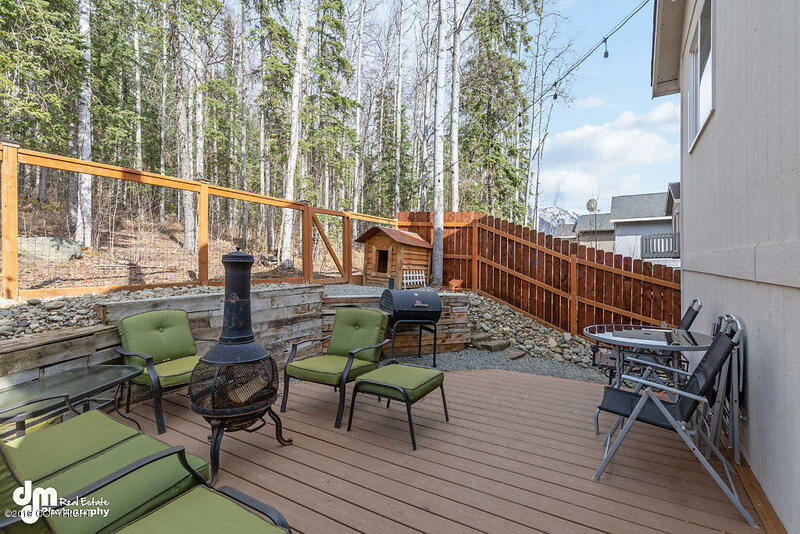 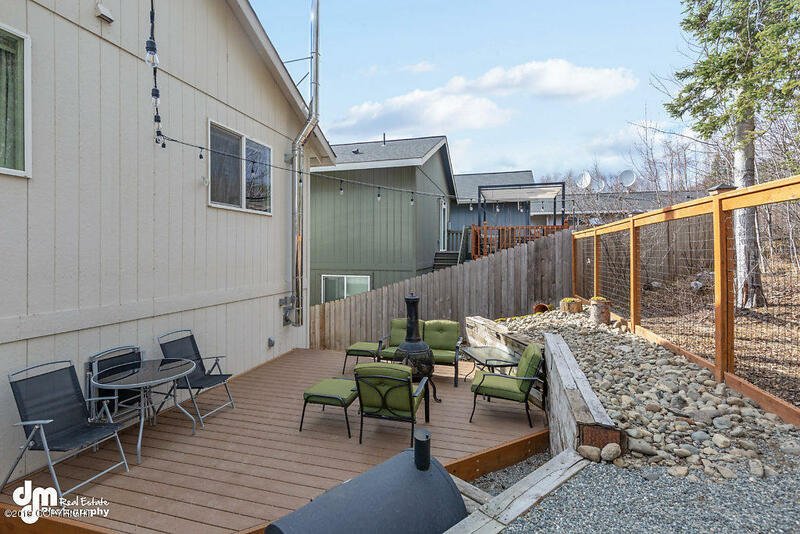 You'll find amazing views of the mountains out your front window and privacy out back with your fenced in yard and wonderful custom deck. 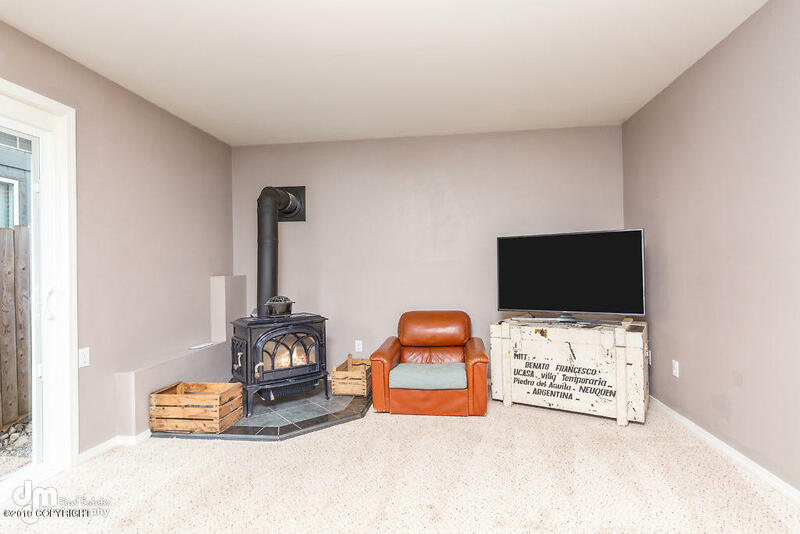 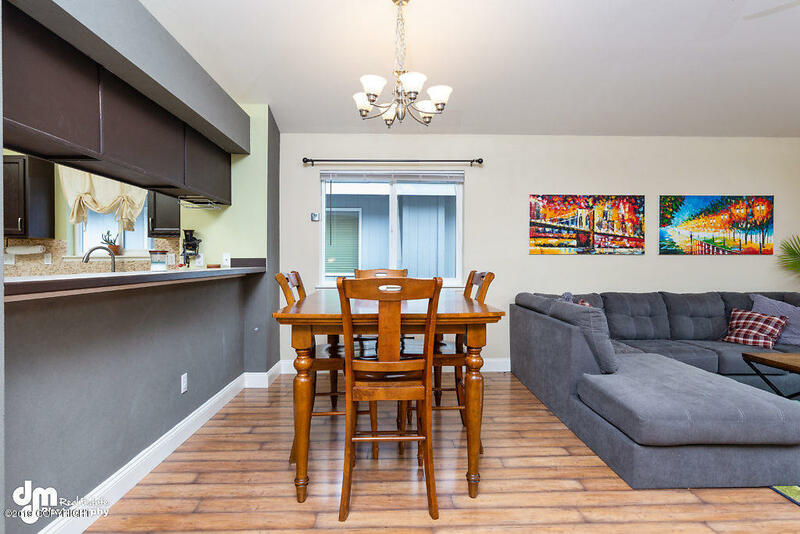 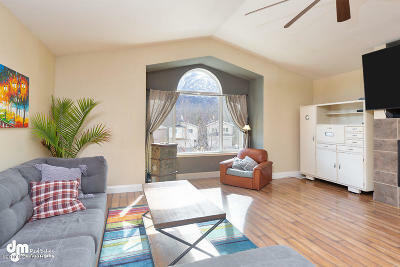 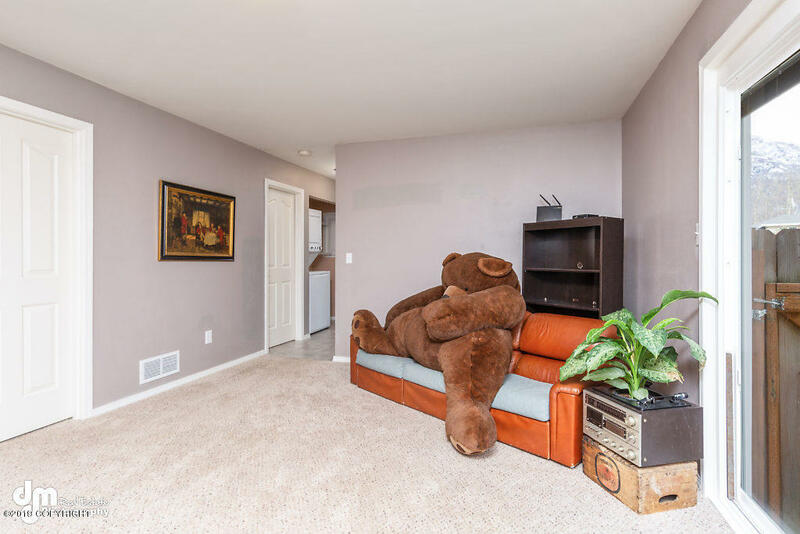 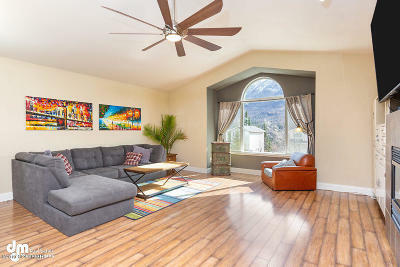 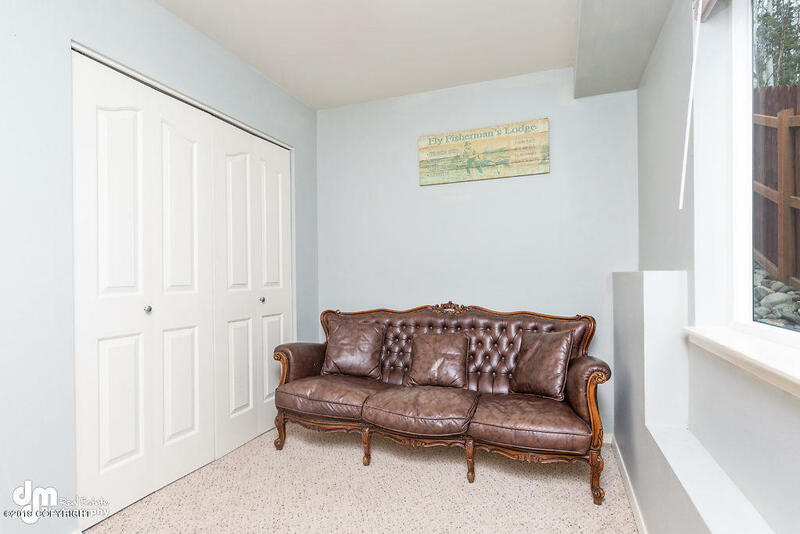 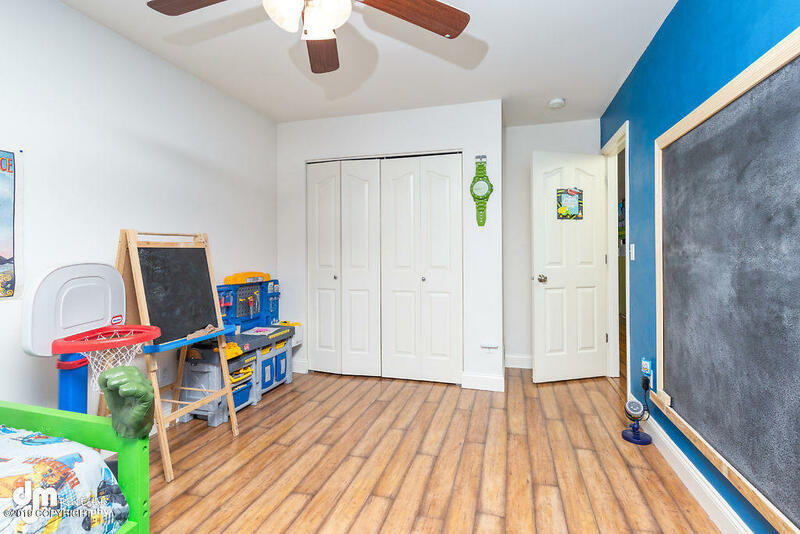 You'll love the inviting feel of this home with tall ceilings in the large and open living room that includes a gas fireplace and wood laminate flooring. 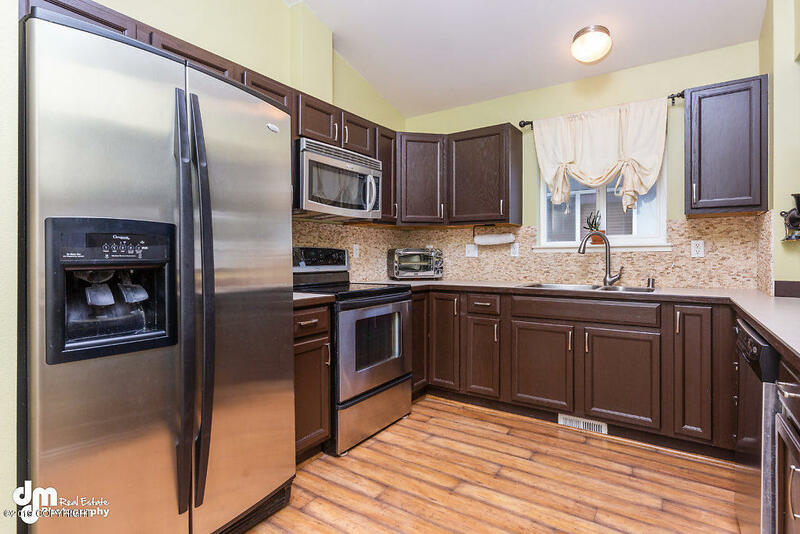 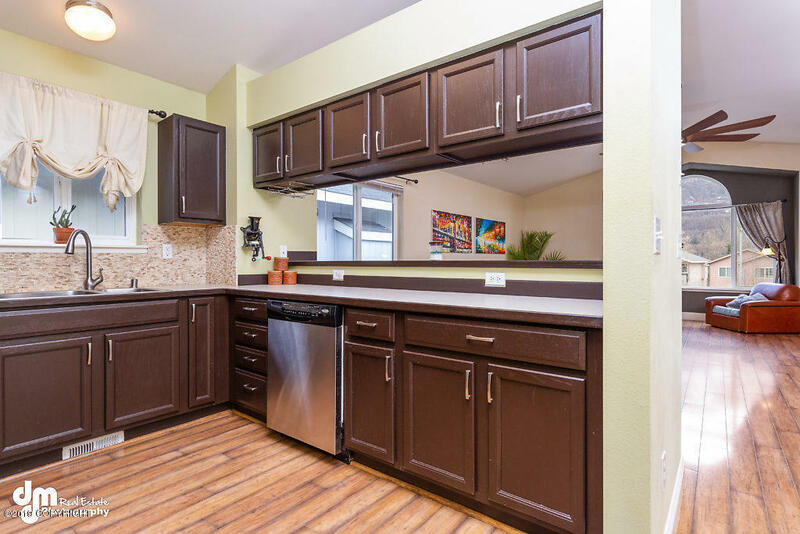 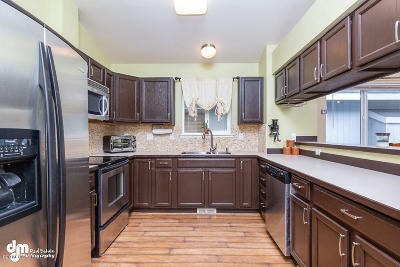 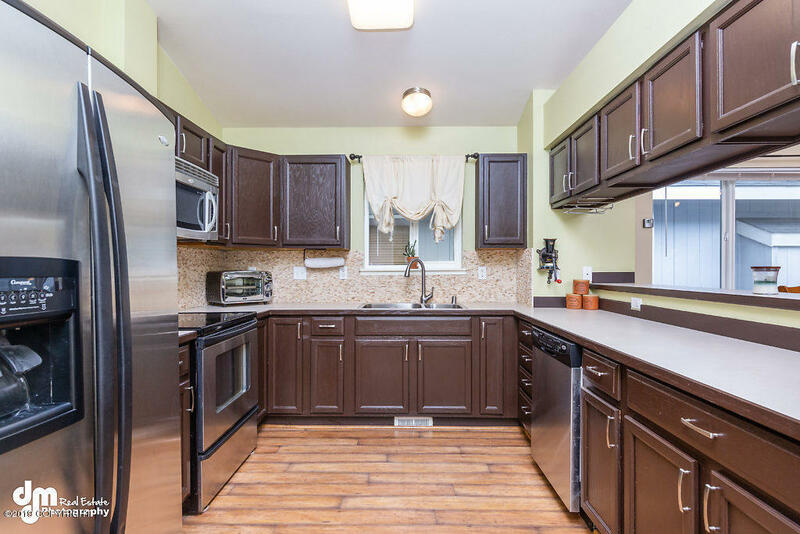 Stainless steel appliances and wrap around backsplash make the kitchen shine. 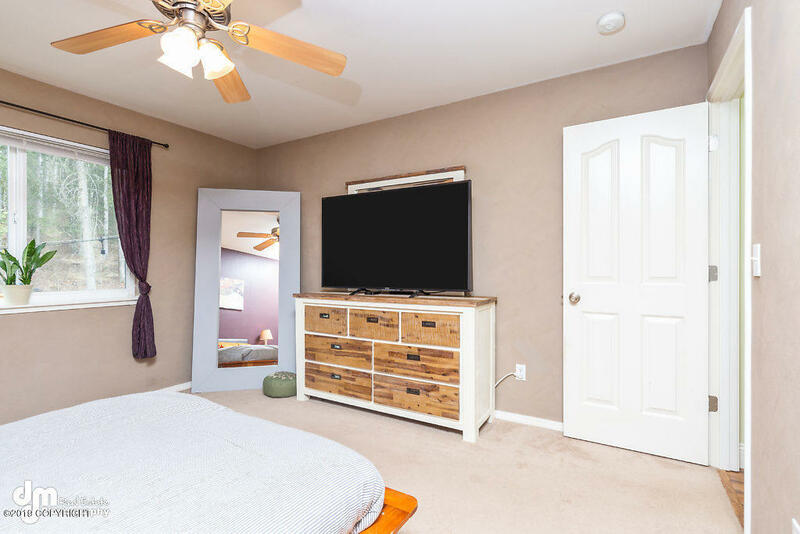 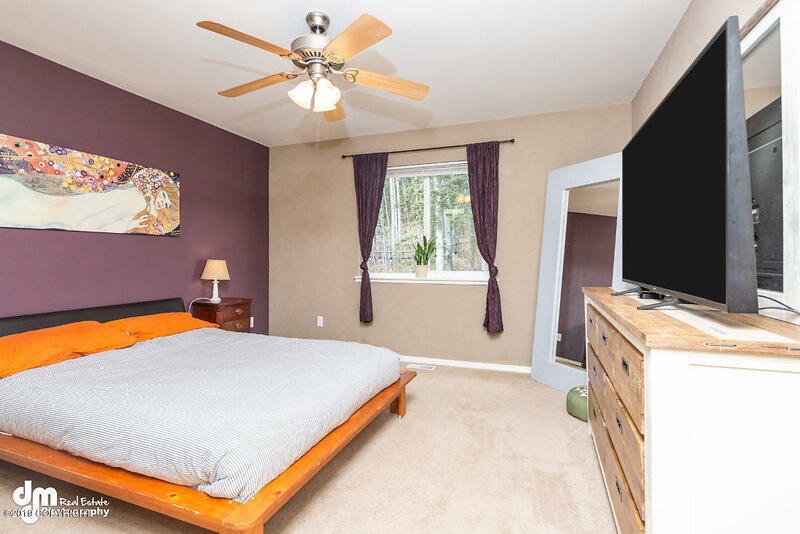 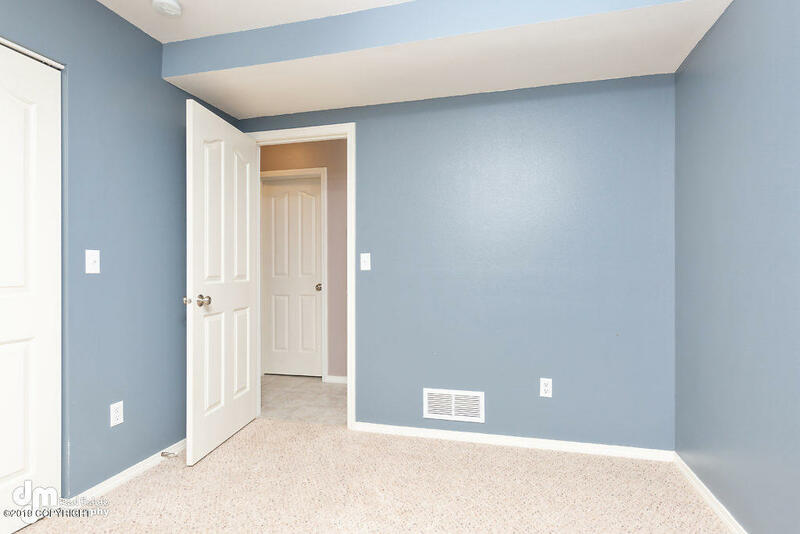 Upstairs is the master bedroom coupled with a walk in closet, and a second bedroom. 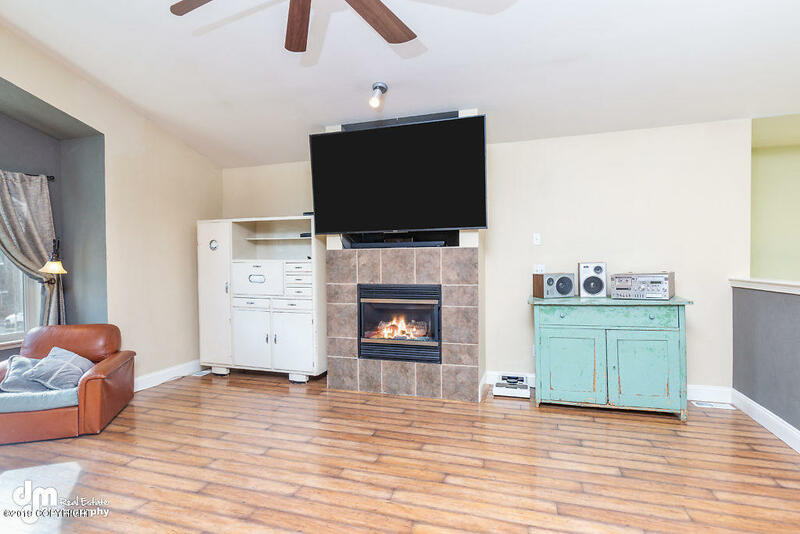 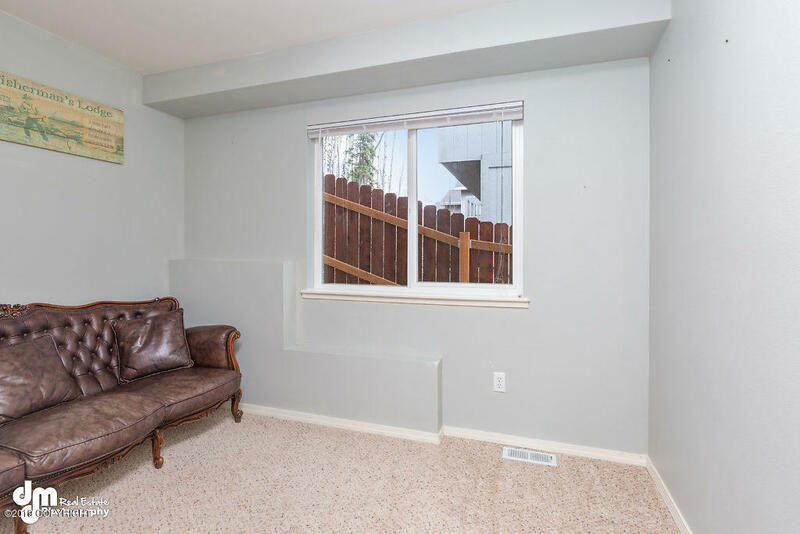 Downstairs provides ample living area with a wood fireplace to help you stay cozy on cold winter nights. 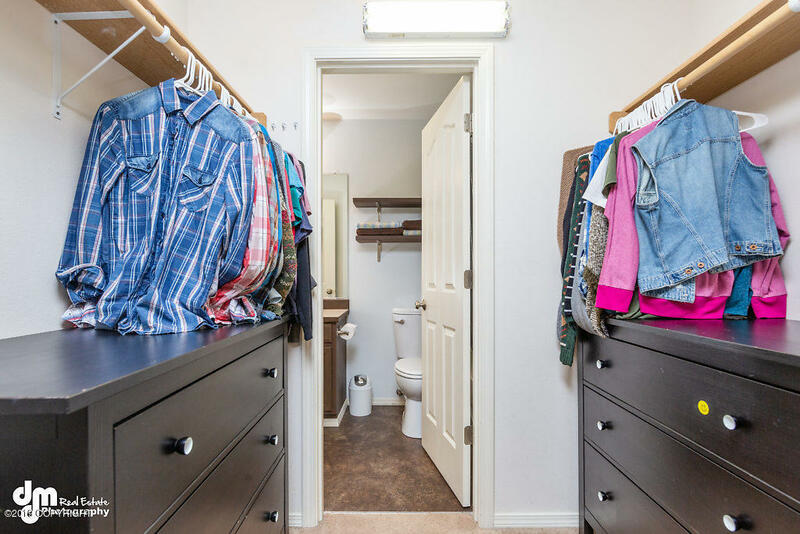 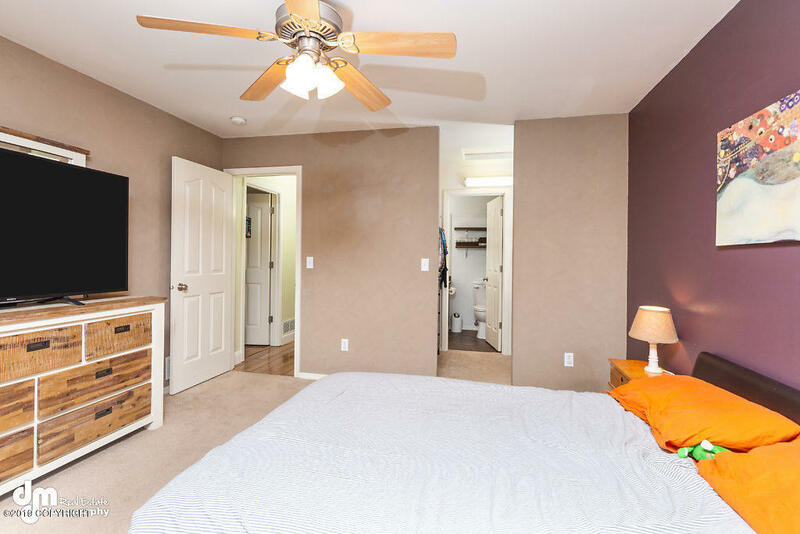 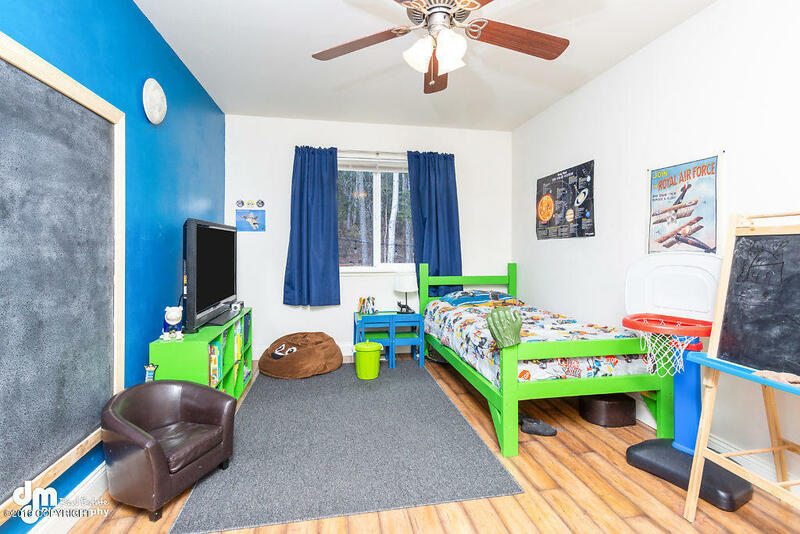 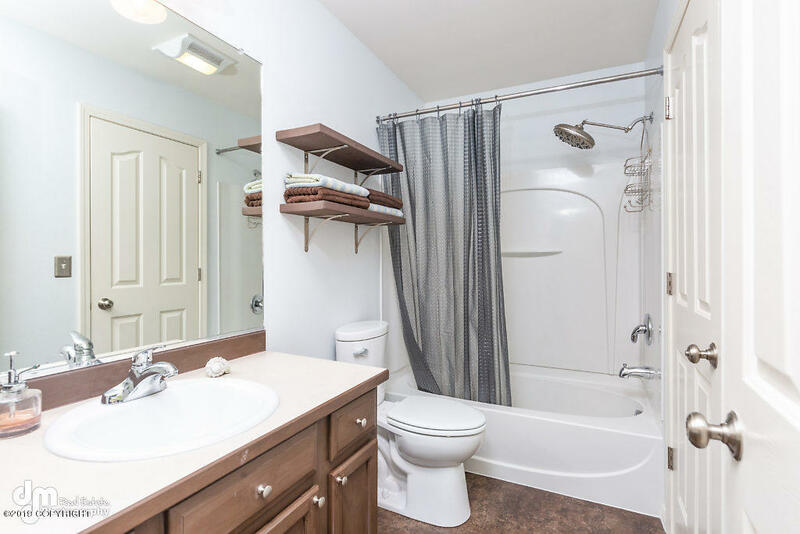 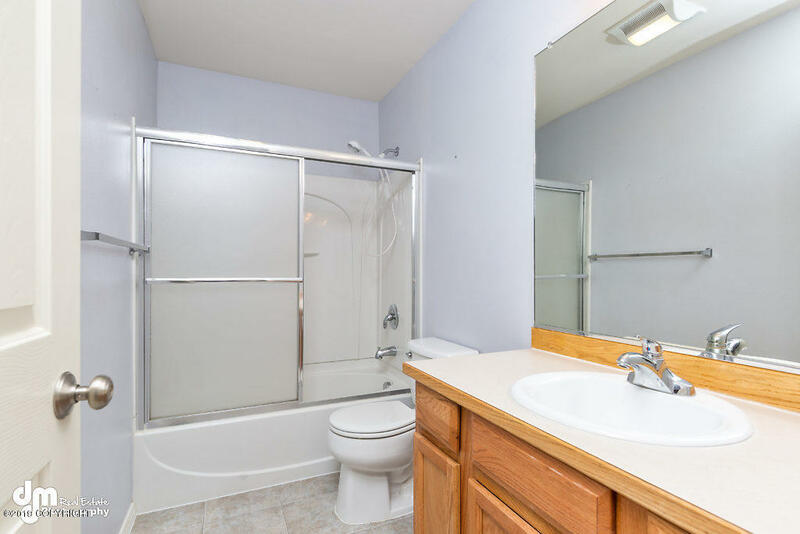 Two more bedrooms are located downstairs along with a full extra bathroom. 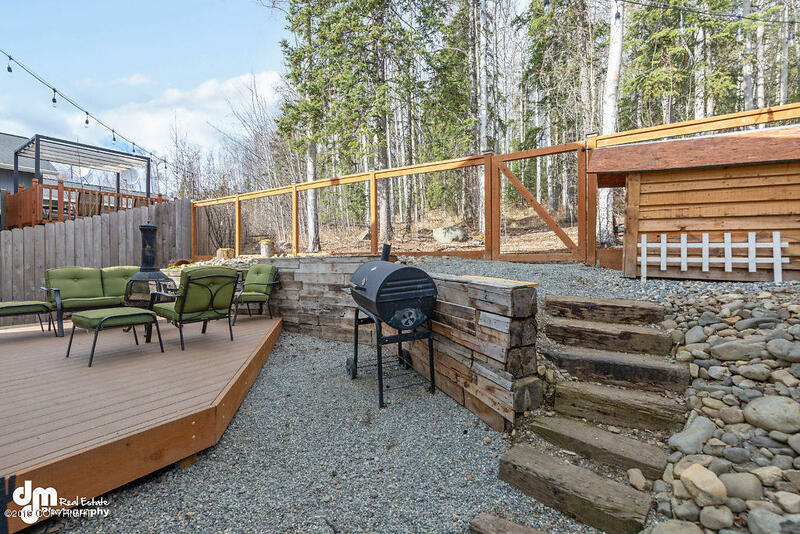 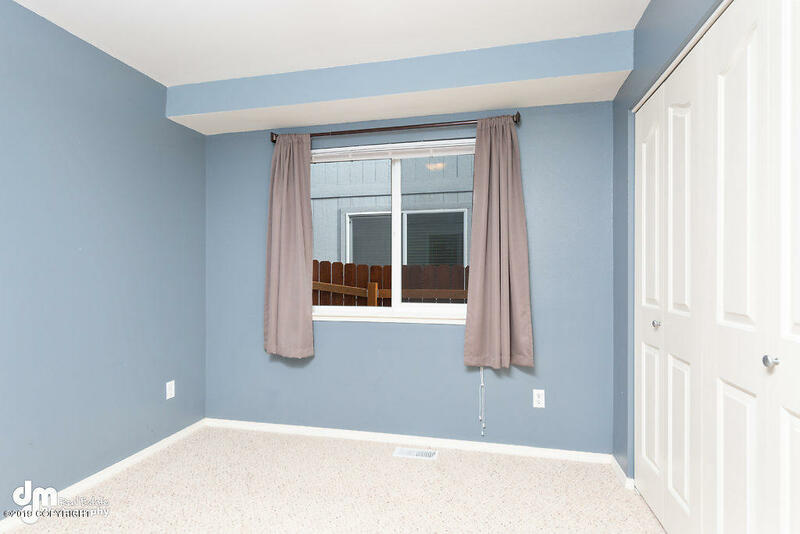 The new sliding glass door leads you out back to the custom deck to enjoy BBQs on. 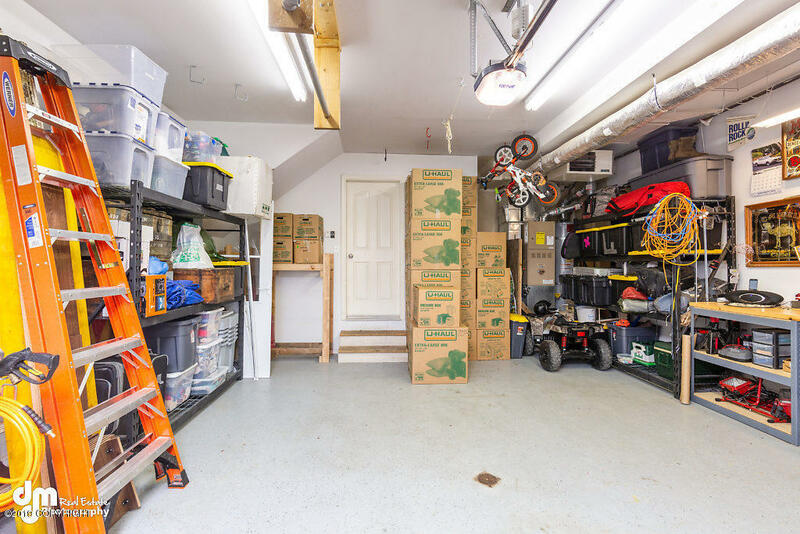 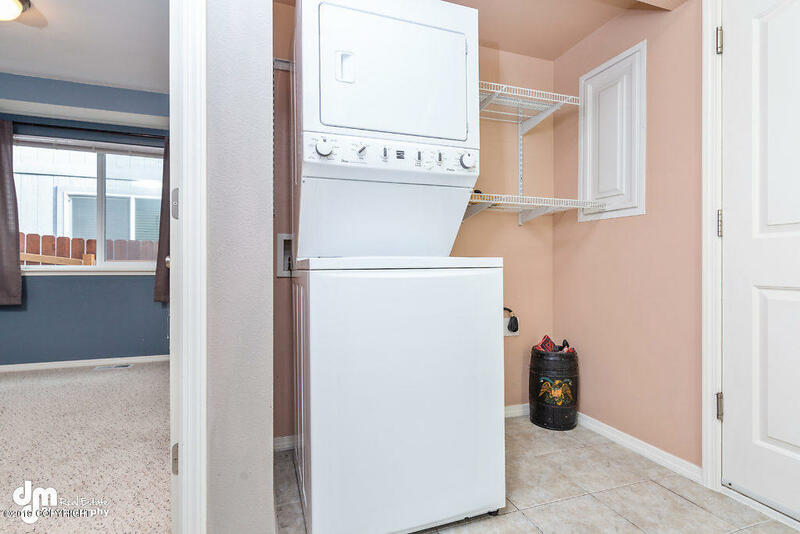 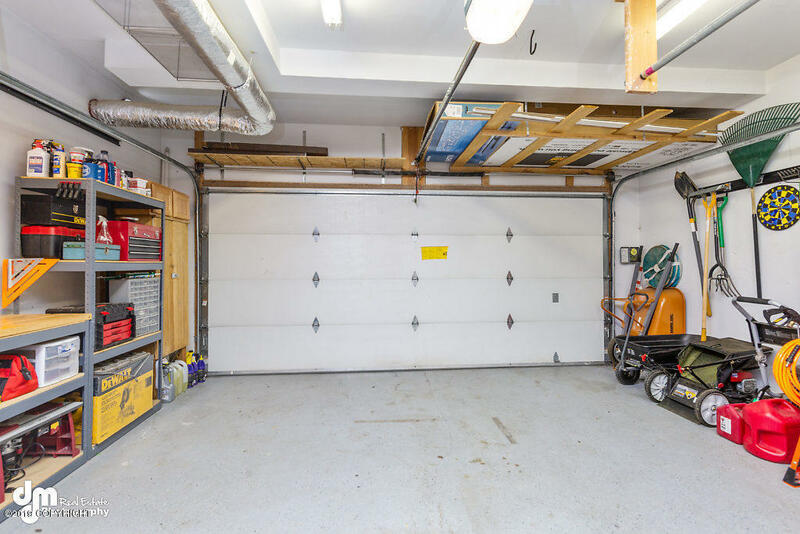 Spacious garage for two vehicles and shelving. 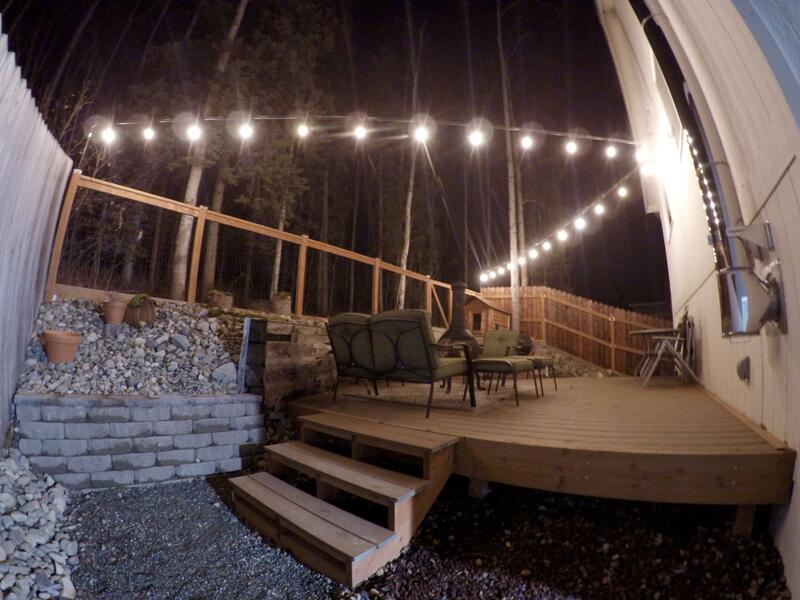 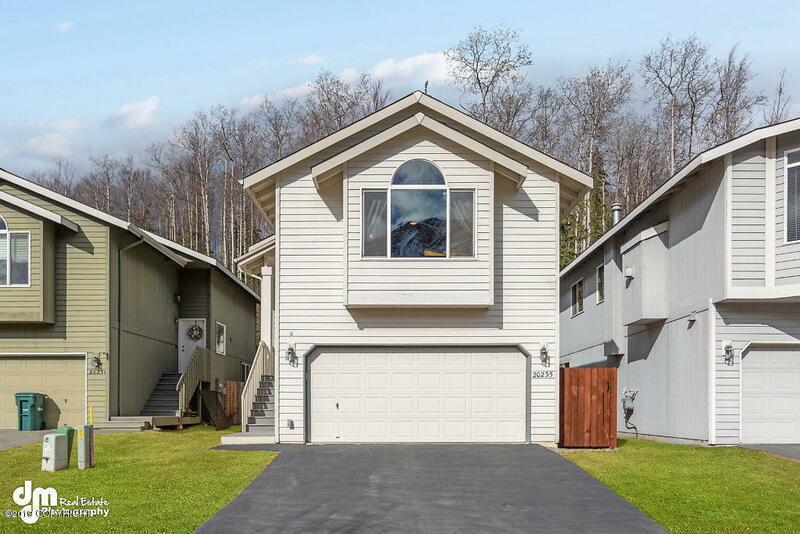 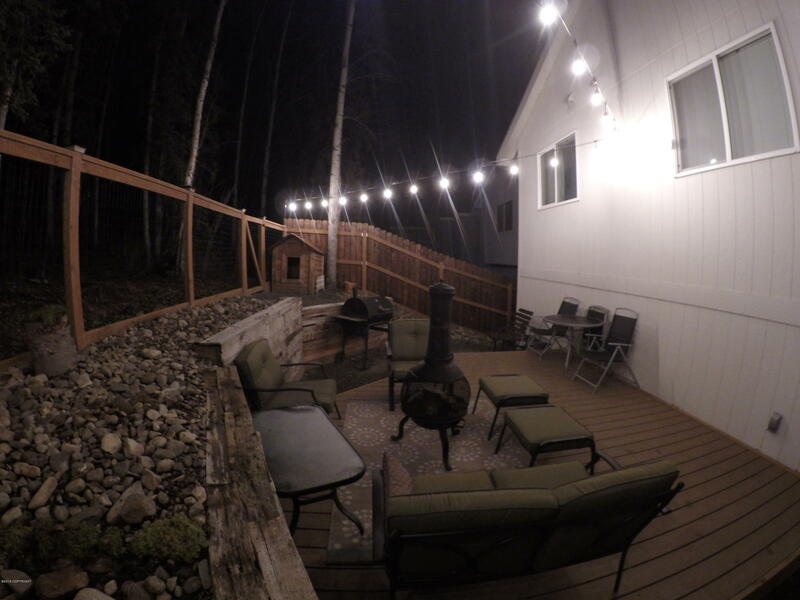 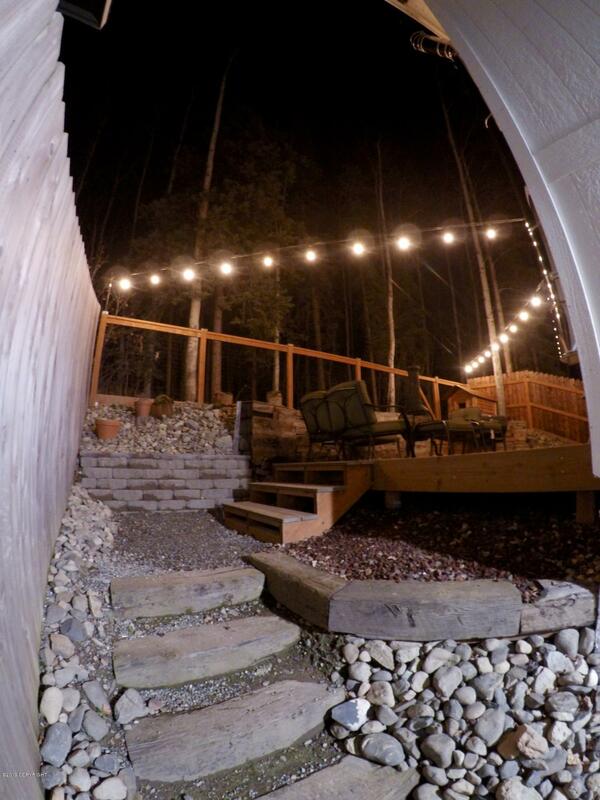 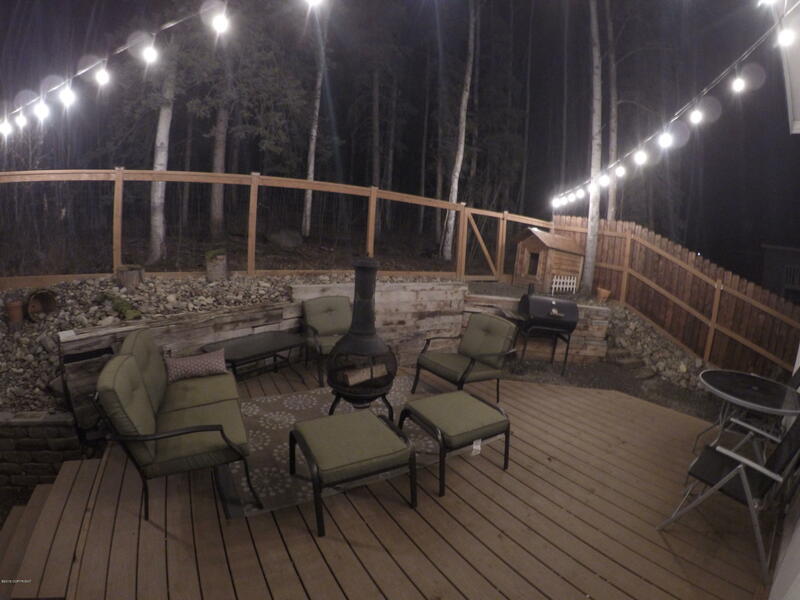 This home is just minutes from JBER, and close to many trails. 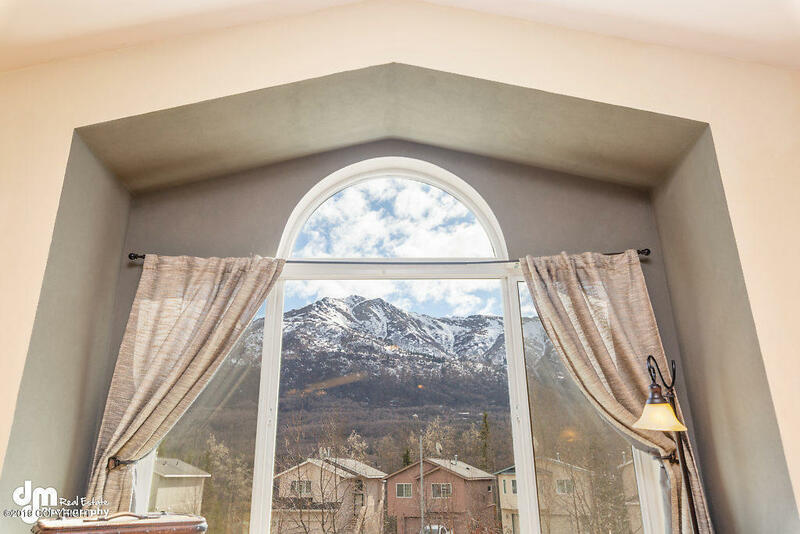 Don't miss out - schedule your showing today!